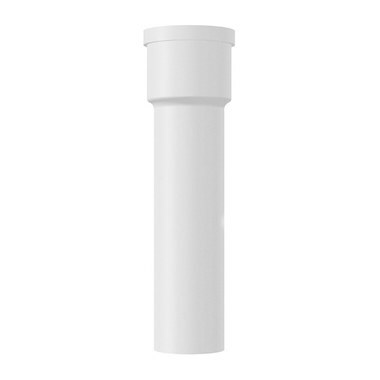 This Saniflo extension pipe kit is designed to ease the installation process of a Saniflo sanitation system and make it easier to hide the pump and plumbing behind any finished wall. Features an inner gasket that easily connects to the rear spigot of the Saniflo toilet. Its sealed connection prevents water seepage when the toilet is flushed. When using the extension pipe, the toilet bowl should be raised 3/8" to provide additional gravity flow toward the macerator or grinder. For use with the Saniaccess3, Saniplus, Sanibest Pro, and Sanitop systems. Measures 18" long x 4" in diameter with a 5" diameter bell housing. What is the differance between this extension and the others I have seen on line for $9.00 less they also look a little different than this one.